Link building is one of the most essential aspects of SEO. Its complex nature requires that you make efforts to ensure that your backlinks are not only real and worthwhile, but also adds value. Only real and worthwhile links can be rewarded by search engines and people. Slapping a link in your blog posts on other websites no longer works. If your goal for link building is to improve the SEO score of your website and get high quality search traffic in return, it’s crucial to make it real and worthwhile. In this blog post, I’ll be going over some of the essential traits of real and worthwhile links. So when you’re looking to build links to your website next time, watch out to make sure they incorporate these attributes. The only purpose a link should serve within a content is to add value. Adding value can be in any form. It could be in the form of helping the reader gain access to more insights on the topic covered, or help to discover powerful and resourceful websites or help to know more about an individual. If a link does not add value, either in any of the forms mentioned above or through other means, then such link is not real and neither is it worthwhile. Does your link add any value? If it does not, how do you intend to make it add more value? Real and worthwhile links should help users to have a clearer understanding of the topic in discussion. Links in content should lead to high quality and valuable resource articles that will further broaden the depth of what your content is about. Links like this will not only assist your users in understanding the topic on a broader scope, it is also more likely to pass SEO value over to the site. If your links will not help your readers to have better understanding of the topic in discussion, you should reconsider whether that link is worthwhile before including it in your content. One other attribute of real and worthwhile links is how it fits within the content context. Real and worthwhile links should fit within the content context of the topic being discussed. 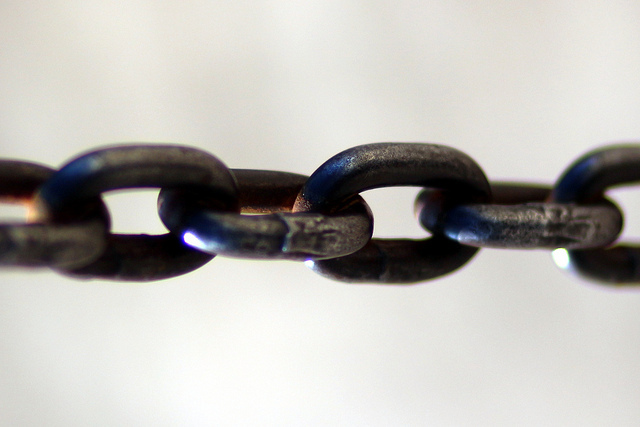 Placing irrelevant links within your content will erode the link of its realness. With an arsenal of relevant high quality content on your website, to make a backlink real and worthwhile, you should be linking to properties that actually fit the context of the content. Another attribute of real and worthwhile links is that it contributes to the overall quality of the content. High quality content will include links to relevant and authority properties, either on internal pages or external pages. Navigation: pages on a website should be linked to other relevant pages to contribute to the ease of use and quality of the user’s experience. Reference: a link can also be used to reference sources from other websites, making the quality of the content more superior. Signal of authority and vote of confidence: linking to a website often signals its authority and tells Google that you’re vouching for the website. A real and worthwhile link should serve any of the purposes mentioned above. Only links that have a human feel will pass as real and worthwhile links. When building backlinks, the link has to serve the needs a real human conversation will serve. Placing links in a content in an automated style or bot-like pattern adds no real value. When building links, you should also place the human as priority. While content marketers and link builders focus more on Google updates, penalties and manual actions, we tend to lose focus of who the link is actually meant to serve. That being said, a link should be natural, organic and be editorial for it to have a human feel. Do you have any tips on attributes of real and worthwhile links you want to share with us? Feel free to drop a comment for us.